For years, the shredded gum’s pouch has featured a big muscle-bound man, but the company says it’s excited to introduce their newest female character to the world. (WBTV) - For the first time, popular gum brand Big League Chew will feature a female player on the pouch. For years, the shredded gum’s signature pouch has featured a muscle-bound man, but the company says it’s excited to introduce their newest character to the world. Big League Chew tweeted Friday that their new softball-inspired pouch is available for online purchase. According to VendingMarketWatch.com, the female player was created by Amanda MacFarlane, an accomplished freelance character designer and daughter of former Major League shortstop Bobby Bonner. If you want one of the new pouches now, you can head over to Big League Chew’s website and order. The softball-inspired pouches will hit retailers in February. 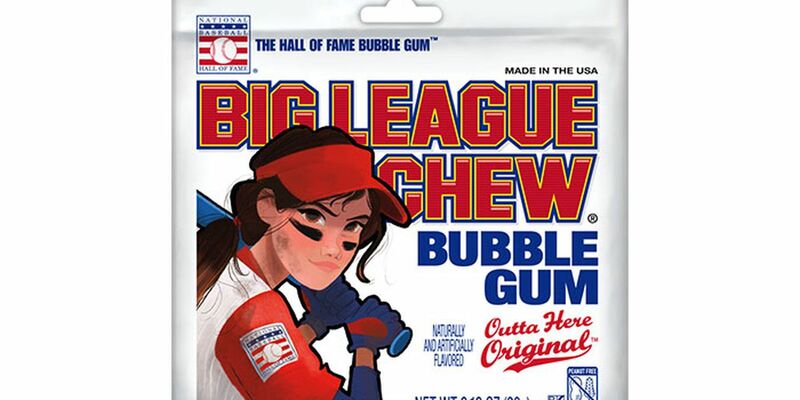 Since 1977, Big League Chew has sold more than 800 million pouches of its flavorful, shredded gum.